While in Slutsk we stopped to visit the reclaimed headstones that were collected around the town of Slutsk last year. Headstones that long ago were removed from the Jewish cemetery and used as building materials. 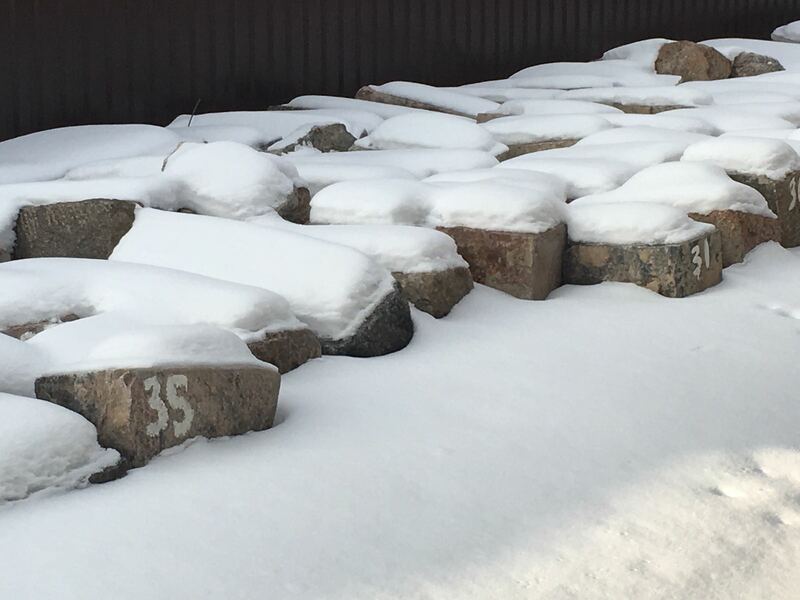 The headstones are now in safe storage and will be the subject of a memorial once the snow thaws. Whilst on our trip, we saw them in their heavy snow overcoats, a powerful remnant reminder of the rich Jewish community that once lived and thrived in Slutsk. 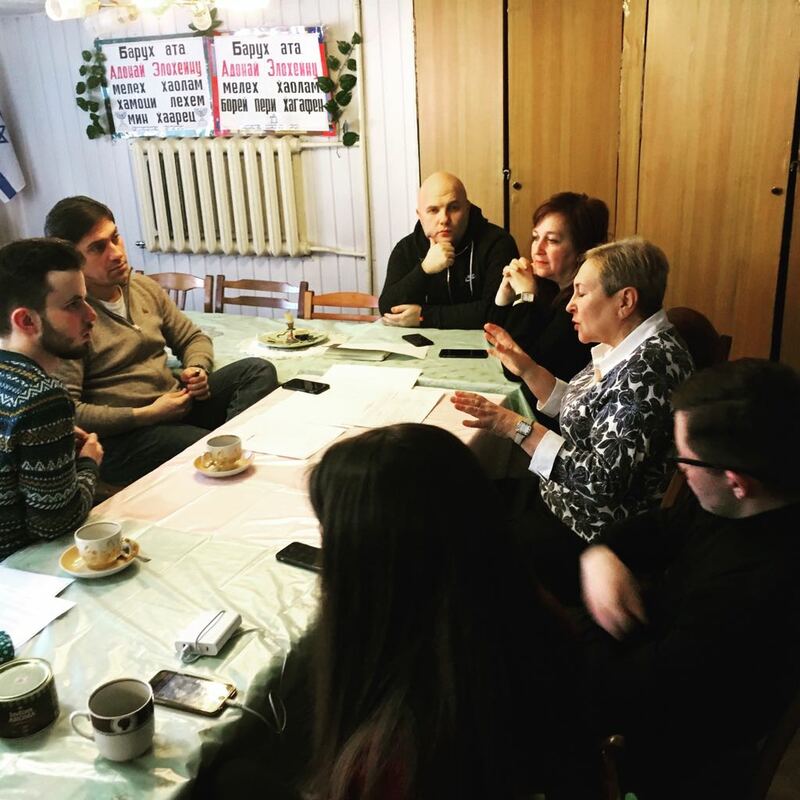 Over the weekend, seven members of the UK and Belarus TTP team visited the Slutsk Jewish Community, and met with the children of the Sunday School and the Slutsk community leaders. In minus 17 degrees the team drove through the snow across the country and were met with smiling faces and warm tea. Much was discussed. The community in Slutsk is in need of support. TTP’s Youth for Youth ambassadors from Polotsk, Bobruisk and UK will be creating new programmes for the youth in Slutsk. The TTP team will be building new growth strategies for community development. 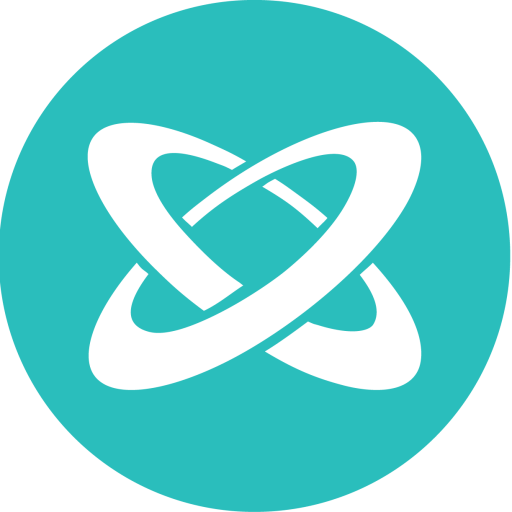 Exciting future for Slutsk and we will be looking for support partners to help this community to develop. The survivors of the Minsk Ghetto had a special event organised by The Together Plan to mark this special day in the Belarusian calendar. Our Youth for Youth ambassadors led a special Kabbalat Shabbat service, followed by supper and entertainment by a professional Belarusian singer and performer who serenaded the community and sent everyone off into the cold night with smiles, song and laughter in their hearts. Humanitarian aid collected and sorted in the UK was distributed in Belarus. 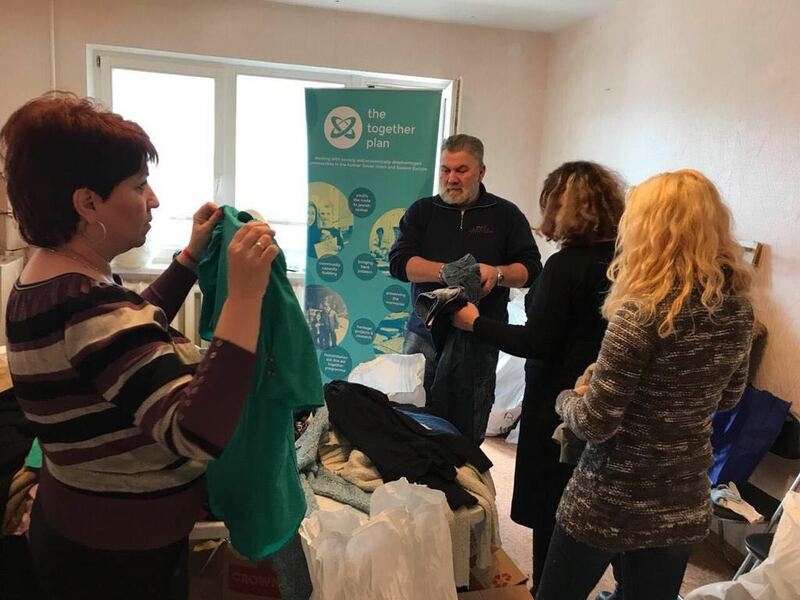 The Together Plan team spent several days in the warehouse in Minsk selecting donations from the most recent consignment of aid. These were transported to a distribution centre and recipients were invited to select items. Minsk Ghetto survivors and family members were among the recipients. In sub-zero weather, warm coats, boots, scarves, hats and knitted blankets were much needed and gratefully received. 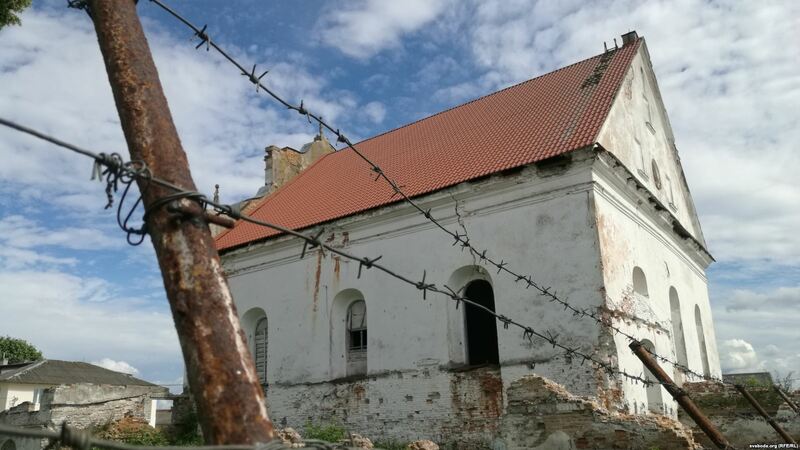 Last week, The Together Plan was interviewed by Radio Free Europe / Radio Liberty about our project to restore the Great Synagogue of Slonim, Belarus in partnership with the Foundation for Jewish Heritage. Due to the building’s immense historical significance, the restoration project has been attracting the attention of media worldwide, featuring in the Guardian earlier this week. 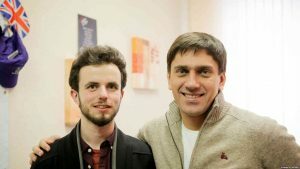 With this interview, the project makes its first appearance on a major news platform in Belarus itself. the Slonim Synagogue is among the four most important historic synagogues in Europe. Restoration of the building may begin this year. 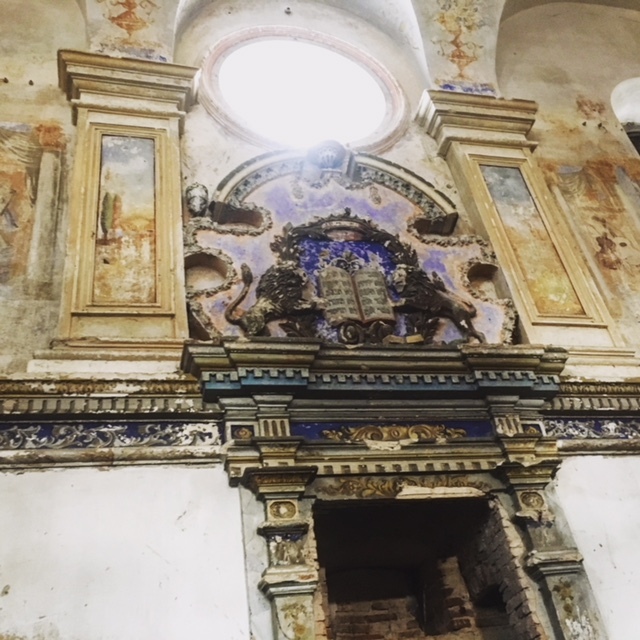 The 17th-century Slonim Synagogue is among the four most important historic synagogues in Europe in urgent need of restoration. Its conservation could begin this year, and within the next five years restoration work will take place. 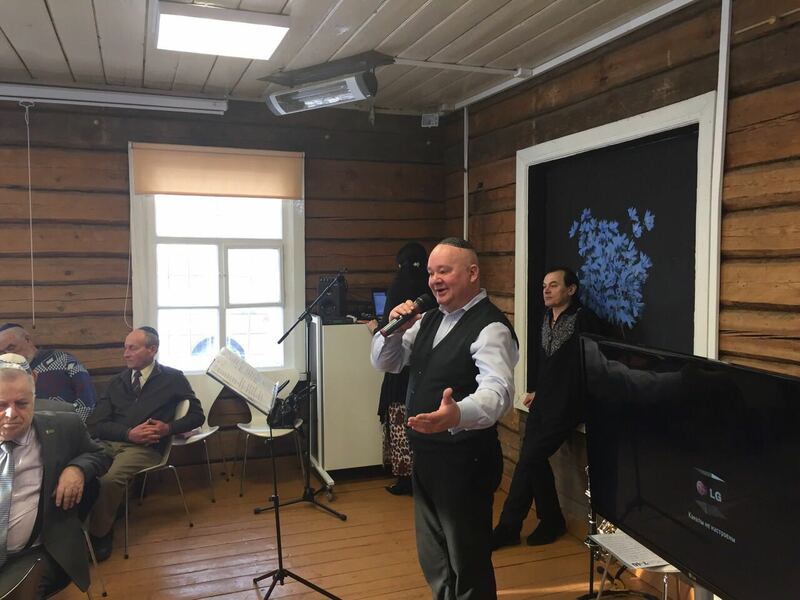 UK-Belarusian charity The Together Plan explains how a restored synagogue would promote the revival of Jewish community in Slonim and attract tourists to the city. For more than 20 years the synagogue has been crumbling. On 7th February 2018, in the House of Commons of the UK Parliament the question of the Slonim Synagogue was discussed. It has been identified as one of the four most important historic synagogues in Europe, among more than 3 300. Their restoration is currently being planned by the Foundation for Jewish Heritage. The Synagogue in Slonim has been abandoned for 20 years already. As reported in the Guardian, historian Simon Schama initiated a survey of all historic synagogues in Europe that still survive, rating them according to their significance. Restoration work is planned for the buildings of greatest historical value. The Slonim Synagogue is among the first. The Great Synagogue in Slonim was built in 1635–1642 in the Baroque style. Today it is the oldest building in the city. In Soviet times, there was a warehouse of a furniture store; in an annex was a cafe. In the 1990s, the building was acquired by the state – but since then, its condition has only worsened. Located next to the market, the synagogue has suffered as a result of littering and vandalism. In the last 20 years there has been a number of attempts to restore the synagogue. However, these largely yielded no results and the building continued to deteriorate. Only one construction project, to restore the badly damaged roof, was ever completed. “There have been attempts to restore the synagogue for a long time, including by the Slonimer Jews in Israel and other organisations, but nothing has changed. The synagogue is falling apart, and nothing is being done.” Artur Livshyts, head of Belarusian charity Dialogue and representative of The Together Plan in Belarus, tells Svaboda. Dialogue and The Together Plan are engaged in discussions with the local authorities in Slonim on the possible reconstruction of the synagogue. In September 2017, they signed a memorandum of intent with the Slonim District Executive Committee. The Slonim Synagogue is one of the oldest in Belarus and is built in the Baroque style. As architect Galina Levina told Svaboda, the Slonim Synagogue provides a valuable insight into the history of religious life, art and architecture in Belarus. Levina notes that the synagogue is noteworthy for the frescoes it contains. In the early 1990s, restorers from the Bastalia creative workshop worked in Slonim, making copies of all the paintings. “The Slonim synagogue unique because such old painting are preserved here,” restorer Nikolai Zolotukha told Svaboda. Also involved in the project is a British TV presenter, whose grandfather is from Slonim. A long-standing interest regarding the Slonim Synagogue exists in the UK. In 2007, a film crew from the BBC visited Slonim to record an episode of Who Do You Think You Are? That episode of the family history programme would feature the famous British TV presenter Natasha Kaplinsky, whose ancestors came from Slonim and who visited with the film crew. Her grandfather was a rabbi in the synagogue until he emigrated in 1929. In 2016, 27 representatives of the Kaplinsky family visited Slonim. Natasha and her uncle Simon Kaplinsky are two of several influential figures in Britain who have given their support to the synagogue revival project in Europe. Simon Kaplinsky, Natasha’s uncle, is an influential civil engineer in Britain and is participating in the project for the restoration of the synagogue. He was one of the signatories of the memorandum with the Slonim authorities, having reviewed the technical documentation for the synagogue. However, the decision to identify the Slonim Synagogue as a priority for reconstruction had nothing to do with the Kaplinsky family. The restoration of the synagogue could lead to the revival of Jewish community in Slonim. What can a restored synagogue offer Slonim? 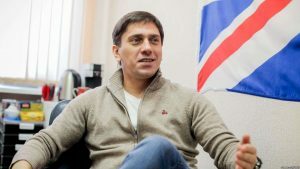 Artur Livshyts believes that Slonim stands to benefit from the attention it now has in the UK. According to Artur, the city’s participation in this project could lead to a growth in tourism. It will also attract invtestment, including by those living in Slonim. One famous resident of Slonim was Michael Marks. 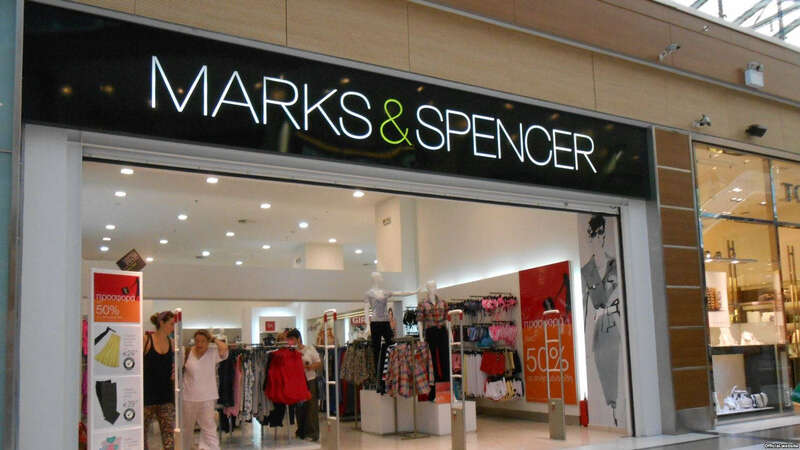 After emigrating to the UK, he co-founded the well-known retail chain Marks & Spencer. 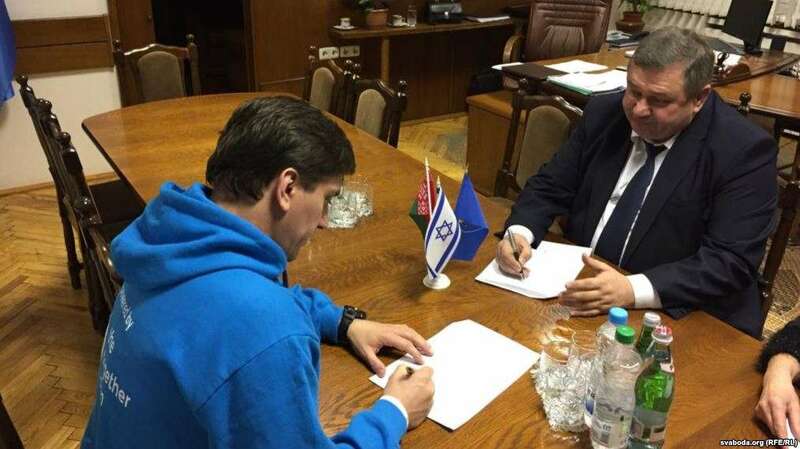 The project has already generated interest in Judaism in Slonim. Before the Second World War, Jews accounted for 80% of the population of Slonim. Now, according to the census, there are only a few dozen among the city’s 50 thousand inhabitants. According to The Together Plan, once the synagogue’s restoration is underway, a Jewish community may reemerge in the city. 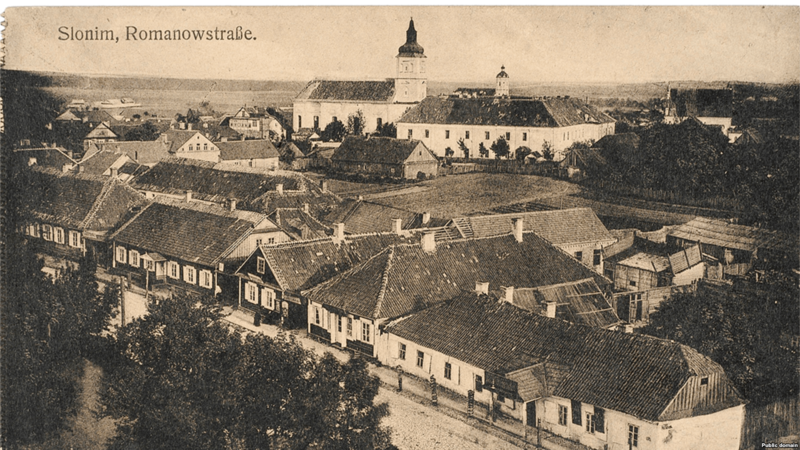 As early as the summer of 2018, an international Jewish youth symposium will be held in Slonim, which will be dedicated, among other things, to the architectural heritage. 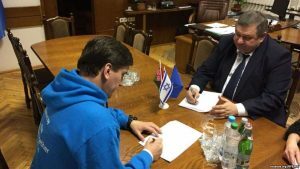 “We will continue to work on the project, even if a community does not appear in Slonim, but we would be glad to see the Jewish population of Slonim become more active,” added Artur Livshyts. The plan for the restoration of the synagogues was announced at an event in the House of Commons of the UK Parliament. Influential politicians, scientists and celebrities participated in the event. Although many Members of Parliament have expressed support, Government funding for the project is not expected. A plan of action has been worked out for each synagogue. The first stage of the restoration of the Slonim Synagogue has already been completed. At the end of 2017, the state of the building was assessed and urgent repairs identified. External structural supports will need to be erected to prevent the building’s imminent collapse. Now the search for funding for conservation begins. Asked when the synagogue will be completely restored, Livshyts does not give a precise answer, instead saying that this is a long-term project that will take at least five years. The final cost of the work is unknown, but we are talking about “millions of dollars”. “I would not rush to give predictions. We need to take things one step at a time. These are not empty promises: we are working hard to realise these plans,” says Livshyts. 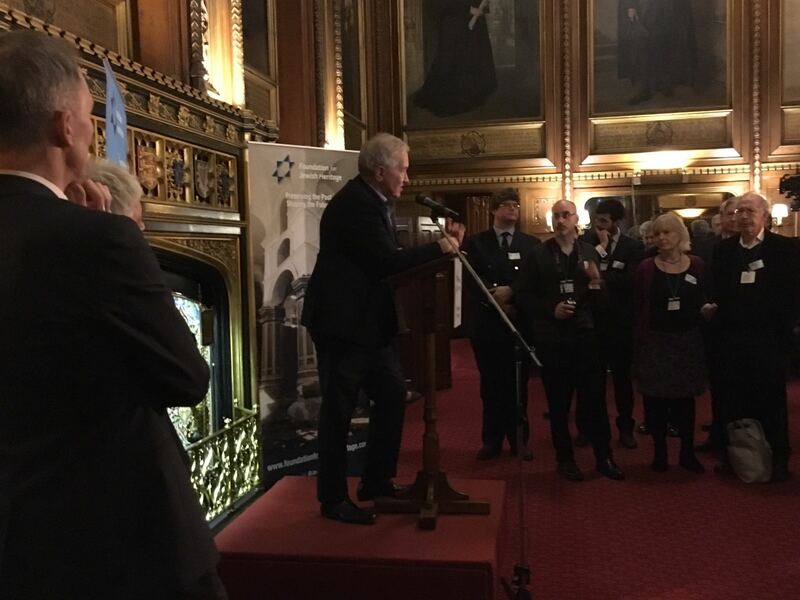 Our charity partner Foundation for Jewish Heritage launched its research mapping the historic Synagogues of Europe at the House of Commons last night. Opening words came from speaker of the House John Bercow, and speeches from the Chair of the Foundation Dame Helen Hyde and trustees Simon Schama CBE, Natasha Kaplinsky OBE, and Jim Murphy MP. One of the flagship projects is the Great Synagogue in Slonim, where we are already doing investigative initial surveys. This week is a big week for The Together Plan! We are looking forward to the launch reception at the House of Commons to celebrate the unique research project mapping the historic synagogues of Europe, with special guests Simon Schama CBE and Natasha Kaplinsky OBE. This is an initiative of the Foundation for Jewish Heritage in association with the Hebrew University of Jerusalem. 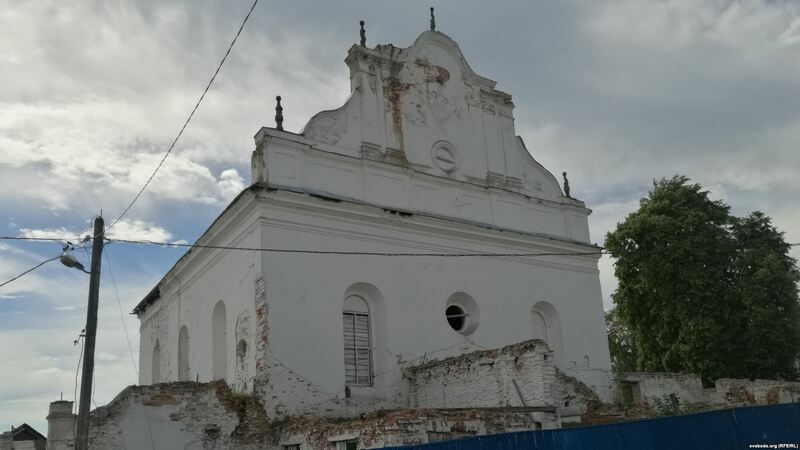 The Together Plan is partnering with the Foundation for Jewish Heritage on the restoration project of the Great Synagogue of Slonim, Belarus. Read the article in the Guardian about the launch at the House of Commons on February 7th.